Q. 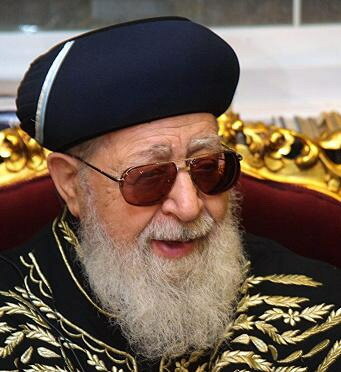 Do you agree with Rabbi Ovadia Yosef that the devastating fires in the north of Israel* are a punishment for Sabbath desecration? A. 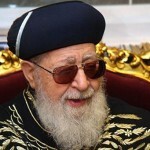 Though former Sephardi Chief Rabbi of Israel Ovadia Yosef is a very great legal decisor whose responsa are very highly regarded, his forays into theology – generally in throw-away comments in his post-Shabbat discourses – are often provocative. In the present instance he seems to be applying an old notion that whatever is bad must be a punishment from God. The question is whether this approach is fair. The sages recognised the paradox of “the wicked person who prospers and the righteous person who suffers”. Presuming that wicked people deserve punishment, we need to know what is meant by “wicked”, how long it will be before their punishment comes, what form the punishment will take, and what happens if the punishment doesn’t come. Yes, Shabbat desecration is to be deplored, but how do we know that it will be punished by fire? What happens if the fire engulfs countless pious people? And are we to say that it was God who lit the match that sparked the fire? Is there no room to blame human irresponsibility or negligence for the disaster? Traditionally, the sages exercised great caution when addressing theological issues and knew that final answers need nuanced thinking, careful phrasing, great patience and the humility to say, “We really cannot be certain”. In any case, tragedies such as the Carmel fires can always provide an opportunity to examine one’s own deeds and improve one’s own behaviour. This is not to say that there is a causal link between one’s own actions and the tragedy of others, but improving oneself helps create confidence in our capacity to improve the world, as well as strengthening faith in the often inscrutable ways of the Almighty. * This article first appeared in 2010. This entry is filed under Ask The Rabbi, Belief, Crime & Punishment, God, Shabbat.